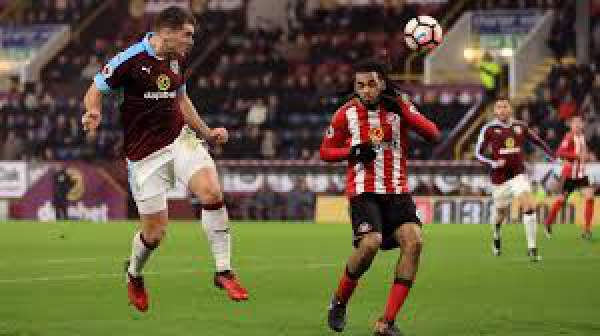 Sunderland vs Burnley Live Streaming EPL Score BUR v SUN: It is the 29th match day of the Premier league, and today we have Sunderland hosting Burnley at the Stadium of Light for the game. Sunderland is currently bottom of the table with 19 points from 27 games, three points below Middlesbrough and six points below safety from the relegation zone. Burnley is currently 12th on the table with 31 points from 28 games, two points below West Ham United and above on goal difference from Watford. Sunderland is one of the teams who is almost going to get relegated this season as they are not able to improve their form. They have won just five games out of the 27 played, scoring 24 goals and conceding 50 goals in total. Jan Kirchhoff has been ruled out for another four weeks, to the least. Watch: West Ham vs Leicester City Live Stream. They have won only once in their 10 league games, losing the last tree without scoring. They are winless in their last 16 league games played in March since beating QPR in 2012. Jermain Defoe has been the only player to be doing something for the team as he has scored 14 league goals in 2016-17. Burnley haven’t won against Sunderland in nine league games away, losing seven and drawing two. They have won nine games out of the 28 games they have played in the league, scoring 31 goals and conceding 42 goals in total. Andre Gray is their top scorer in league with eight goals to his name till now. They are currently winless in their last five games. Their only clean sheet away from home came at Old Trafford in October. They have won only four of their 52 away Premier League matches, losing 40 and drawing eight. Pickford, Kone, Jones, O’Shea, Oviedo, Larsson, Januzaj, Ndong, Borini, Gibson, Defoe. Heaton, Mee, Keane, Lowton, Ward, Arfield, Boyd, Hendrick, Barton, Barnes, Gray. Sunderland will be playing at home with home crowd supporting them throughout so they might get an edge in the game.